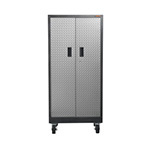 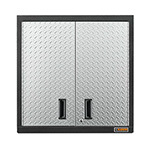 This Gladiator Premier storage set is a fully welded basic option to get your garage storage needs in check. 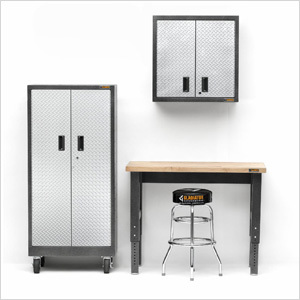 The height adjustable 4-foot workbench can accommodate a single base cabinet underneath or a Gladiator work stool. 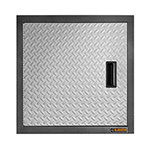 The Premier GearBox is a great modular storage options whereas the wall cabinet can help you store items overhead and off the floor.